ST. AUGUSTINE was born in 354, at Tagaste in Africa. He was brought up in the Christian faith, but without receiving baptism. An ambitious school-boy of brilliant talents and violent passions, he early lost both his faith and his innocence. He persisted in his irregular life until he was thirty-two. Meanwhile his mother, St. Monica, was praying ceaselessly for his conversion. The battle was won. 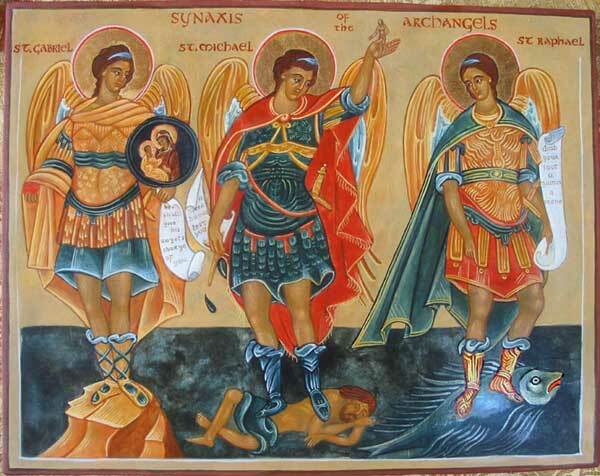 He received baptism, returned home, and gave all to the poor. At Hippo, where he settled, he was consecrated bishop in 395. For thirty-five years he was the center of ecclesiastical life in Africa, and the Church’s mightiest champion against heresy; whilst his writings have been everywhere accepted as one of the principal sources of devotional thought and theological speculation. He died in 430. Reflection.—Read the lives of the Saints, and you will gradually begin seeing a noble society about you, so that, in some measure, you will be forced to raise the standard of your life. 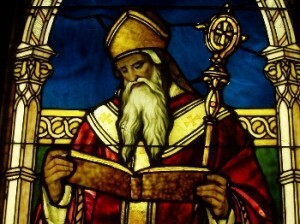 Pope Benedict XVI has written: “As you know, I too am especially attached to certain Saints: among them (in addition to St Joseph and St Benedict, whose names I bear) is St Augustine whom I have had the great gift to know, so to speak, close at hand through study and prayer and who has become a good ‘traveling companion’ in my life and my ministry” [General Audience, Aug. 25, 2010].